The “Training of eduDrone trainers” Short term joint staff training have been hosted in Larissa, Greece by Ke.Di.Vi.M2 KAINOTOMIA, from 18th to 22nd of June, 2018. 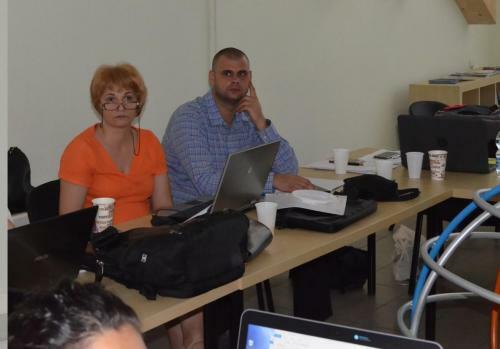 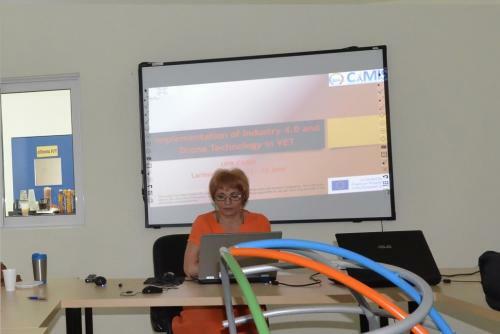 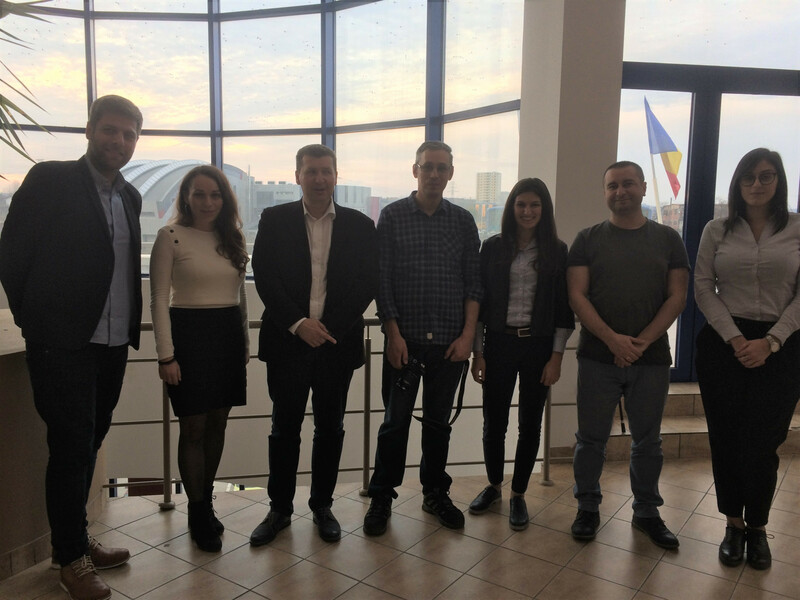 12 representatives of eduDrone project partners from Romania, Poland, Italy and Greece were present. 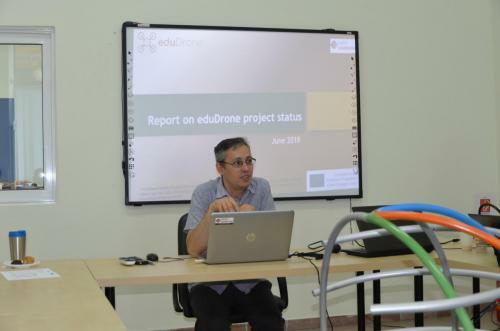 The main goal of this Learning/Teaching/Training Activity (LTTA) was the preparation of eduDrone trainers who will support their organizations in managing the eduDrone training course. 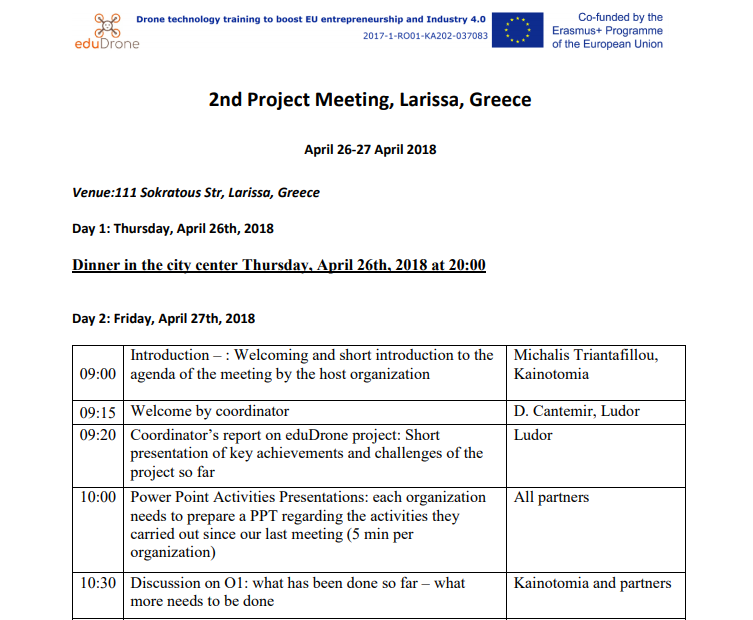 Also, all the participants will use the skills and knowledge gained during LTTA to develop better quality project outputs. 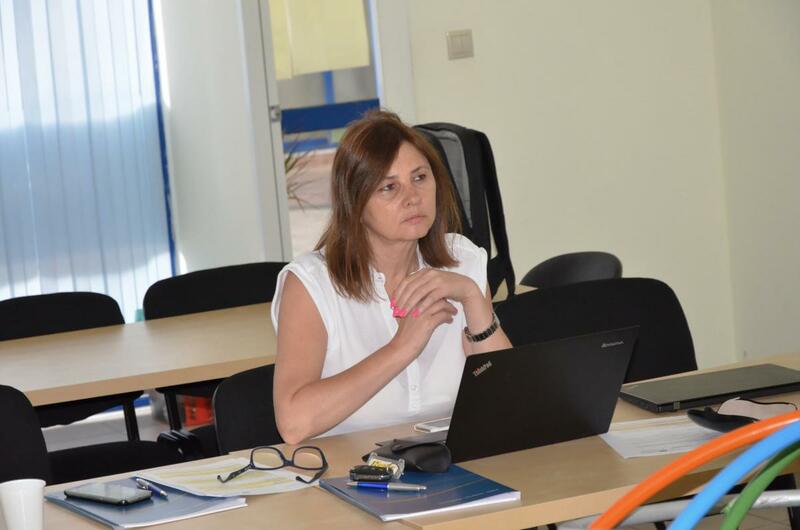 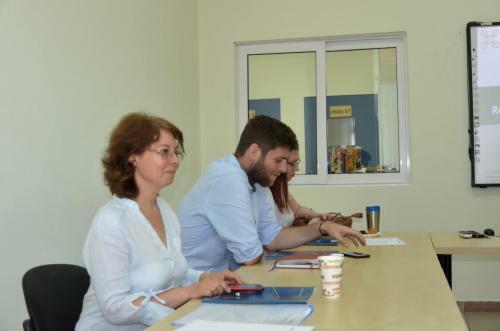 to better develop participants’ individual skills and competences, which will help them to improve their capacity to effectively use the project results and to disseminate them. 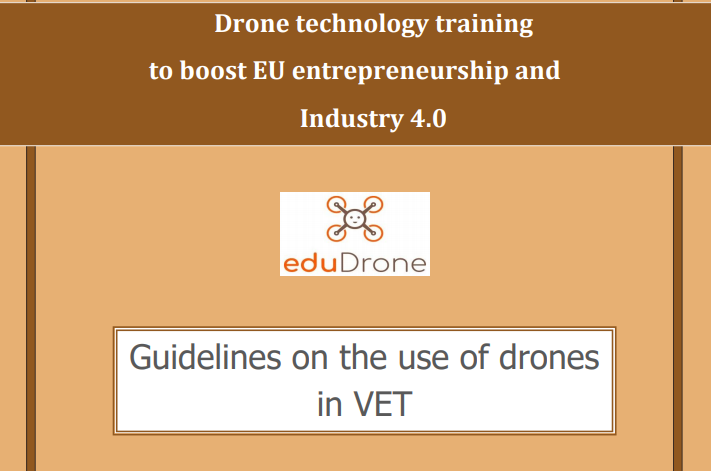 to test, experiment, evaluate and optimize the intellectual outputs developed so far, Guidelines on the use of Drones in VET and O3. 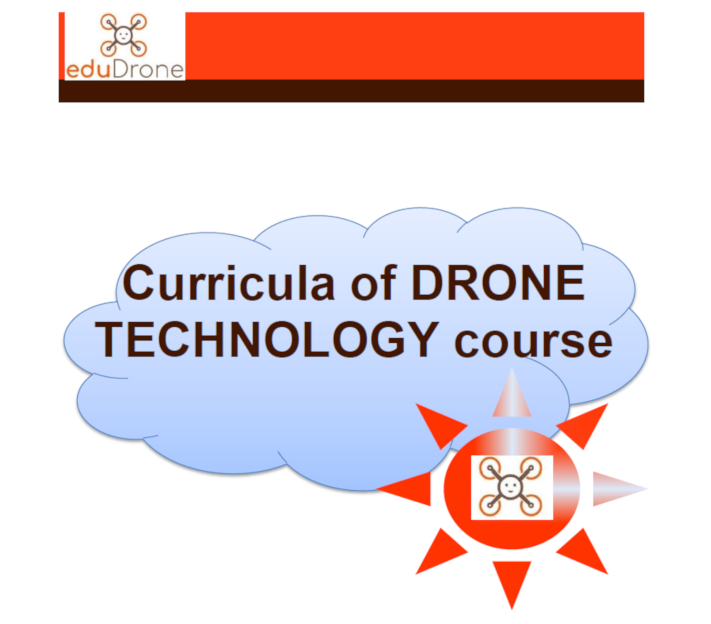 Drone Technology Curricula. 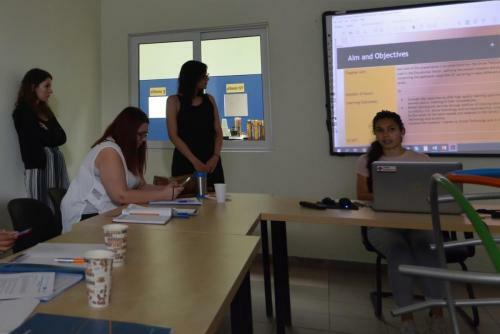 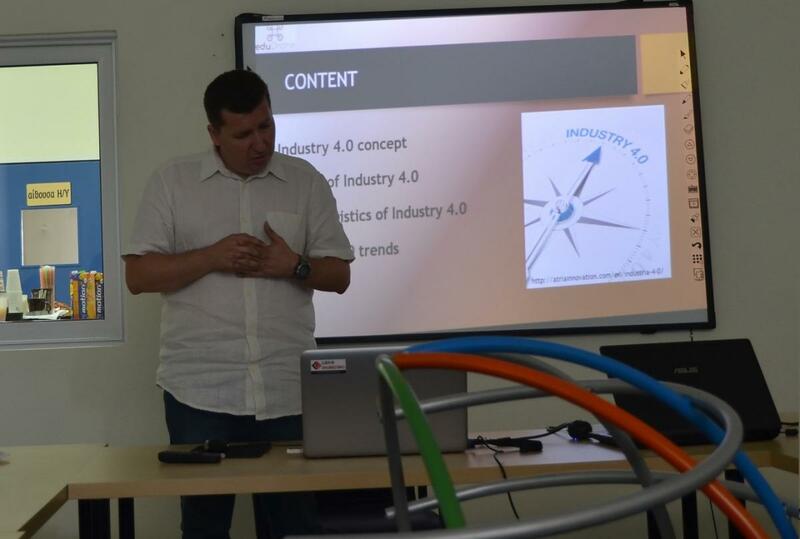 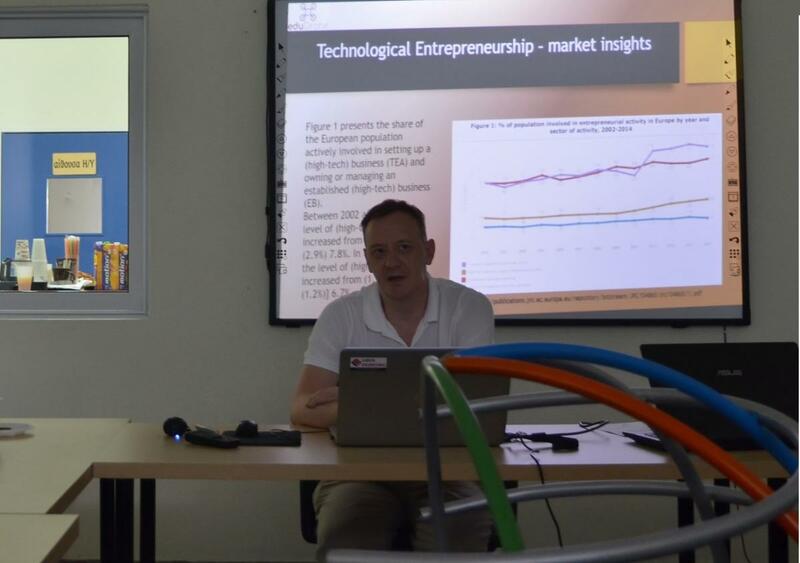 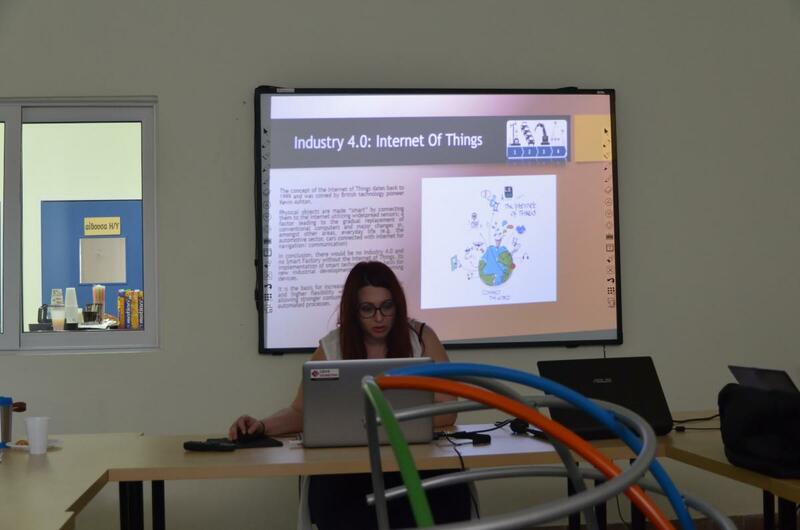 Each presentation was followed by discussions on how to implement the gained knowledge in the project’s outputs, sessions of questions and answers as well as practical demonstrations on Augmented Reality.